Science students in a college laboratory. Interested in a career in biomedical science or paramedic aid? We’re offering a course which can open up a range of career options within the science industry. 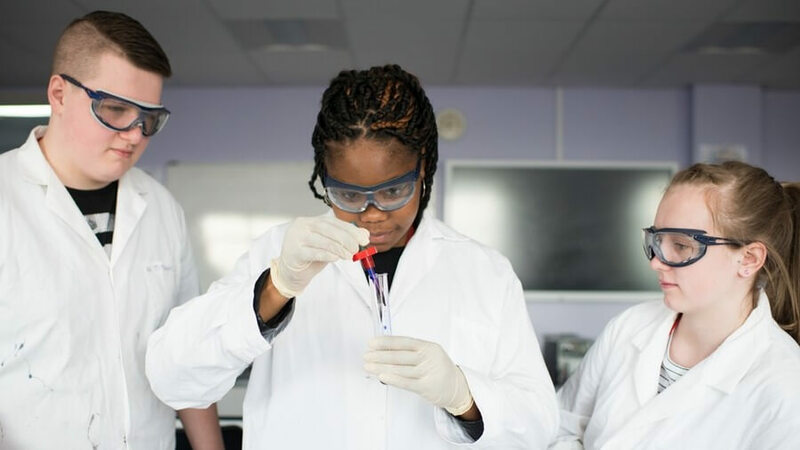 The Level 3 Applied Science course will broaden your theoretical knowledge through completion of laboratory-based practical assignments, supported self-study assignments, presentations and discussions based on real workplace situations, activities and demands. You will further your knowledge in chemistry, physics and biology by studying advanced science practices and techniques in laboratories. Successful completion of the course will enable you to progress into work or further study in areas such as biomedical science, forensic anthropology, chemistry, paramedic aid, the pharmaceutical industry and allied health professions.